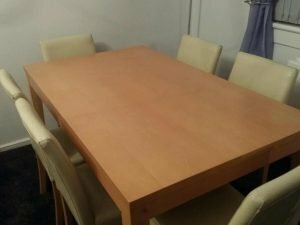 A large solid pine rectangular dining table, together with six matching high back dining chairs, upholstered in cream faux leather. 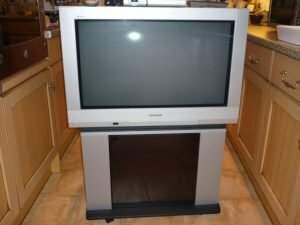 A silver Panasonic 32 inch television and matching detachable stand. 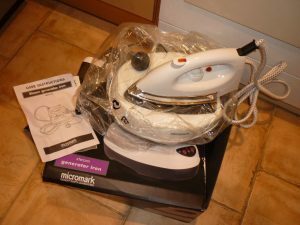 A brand new Micromark white steam generator iron. 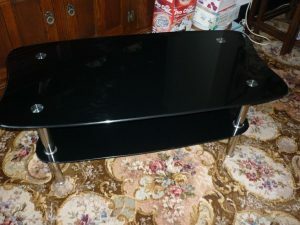 A black glass and chrome large rectangular coffee table with shelving space underneath. 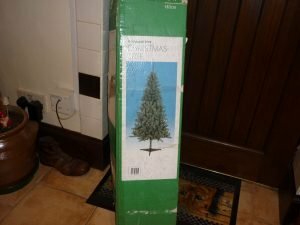 A brand new boxed 6ft green christmas tree and tripod stand. 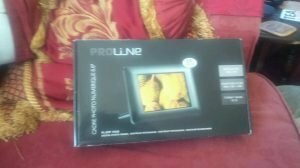 A brand new boxed Proline black digital photo frame. 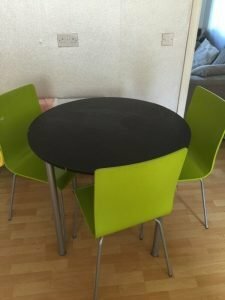 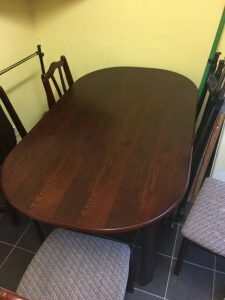 A black acrylic circular topped dining table and three green acrylic dining chairs. 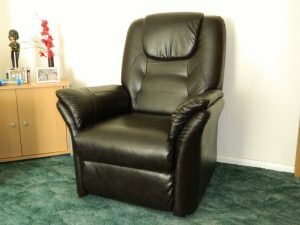 A vintage high back reclining armchair, upholstered in black faux leather. 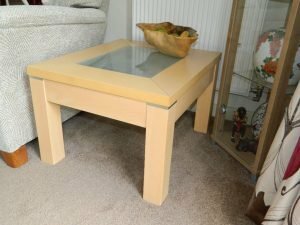 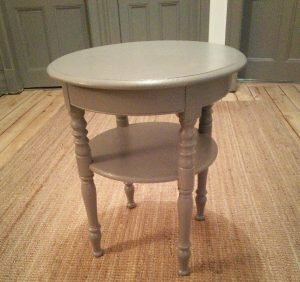 A solid pine square side table, having a sheet of frosted glass inserted to the top. 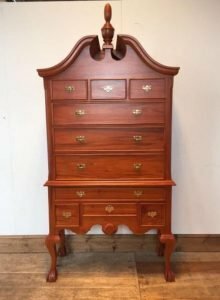 A solid mahogany vintage tall boy dresser, having three small drawers over three large to the top, and one large drawer over three small drawers to the bottom. 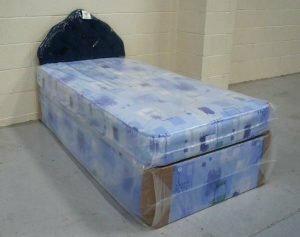 A brand new blue singled divan bed and matching mattress, together with a black leather headboard. 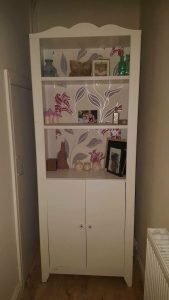 A tall sanding white solid wood dresser unit, having two shelves above a double cupboard. 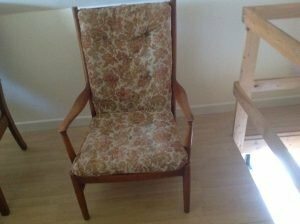 A vintage solid wood high back armchair, upholstered in floral patterned fabric with button detail to the back. 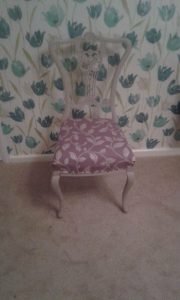 A hand painted cream solid wood hall chair in the snappy chic style, upholstered to the seat in leaf patterned fabric. 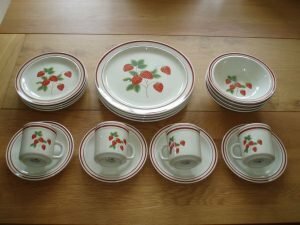 A twenty piece wild strawberry patterned vintage part dinner service, to include dinner plates, side plates, bowls, cups and saucers. 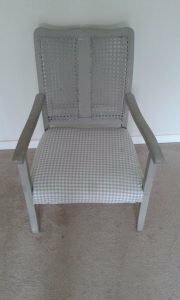 A hand painted white solid wood high back armchair, upholstered to the seat in gingham print fabric. 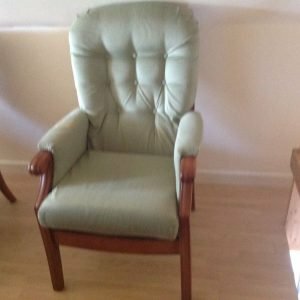 A solid pine vintage high back fireside armchair, upholstered in pale green velour with button detail to the back. 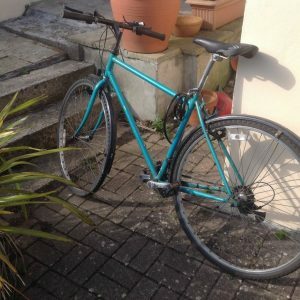 A teal framed Raleigh mens mountain bike.